If you have a child who is sensitive to the spirit realm, you may have already experienced a few of their reactions to what they are seeing, feeling, or sensing. 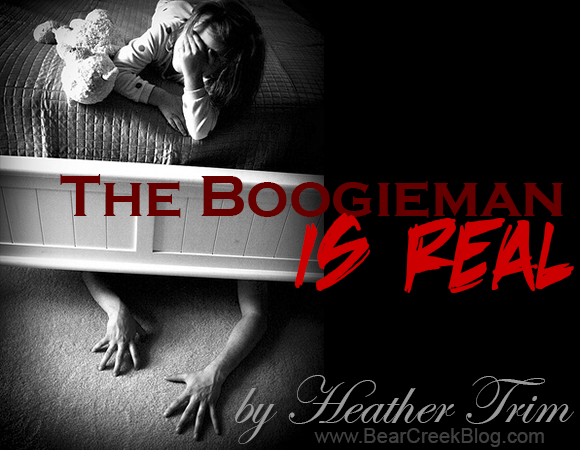 Many parents use the idea of a “boogieman” to explain it away. Some claim the child has an active imagination or is just easily frightened or just doesn't want to go to bed. The truth is the boogieman is real. Demons can take many forms. They showed up as rabid dogs many times in my bedroom. The Bible even tells us that they can appear as an angel of light. The best way to help our children is to acknowledge what your child is seeing is real. Many parents barely believe the wild stories of their children. But what if they did? To be believed is part of the war within children. Will my dad believe that I see claws reaching from the curtains? If he doesn't believe me, he can’t save me from what is scaring me. This is a similar struggle that occurs within children who have been abused. Will a grownup believe me? Will a grownup save me? If they don’t believe me, I cannot be saved. Make the first step toward saving your child by believing what they are sensing in the supernatural realm. A lady approached me at a deliverance retreat and asked if it was appropriate to explain to her eight year-old child about the demonic attack that he had been experiencing recently. The answer is simple: Yes, they can handle the truth. They already feel the truth, they are hungry for the words that explain it. Telling the truth starts with learning what the truth is. Educate yourself on what God is, where he exists, what angels are. Then learn about your enemy: the devil and his demons. Tim Mather’s book “Prophetic Deliverance” provides a lot of his research on how the enemy operates. Find sources that you trust. Bear Creek Ranch has resources that can help. As parents, it is our responsibility to train our children, especially in the area of spirituality. Above all, ask the Holy Spirit to guide you. This can be equated to children with food allergies. After you’ve discovered their sensitivity to peanuts or milk, etc, you would probably educate yourself about what this food does to their body and why. Then you would teach your child about what you learned (as they begin to understand) and help them to avoid these foods. As parents, we have a responsibility to educate ourselves about God and His spiritual realm and how it affects us and then pass that information on to our children. Many have asked if children can handle being told about demons. For those who already sense them, you are giving a name to what they already know. For those who don’t sense, see or hear, then the real question is “Can children handle the truth?” Yes, they can. If you don’t make it into some sort of horror story, it won’t traumatize them. Present it as the truth and remind them where the power lies: in The Father’s hands. Be honest with your child about what they are seeing or sensing. If they already believe in the invisible God of the universe then it won’t be difficult for them to understand when you teach them about angels and demons. 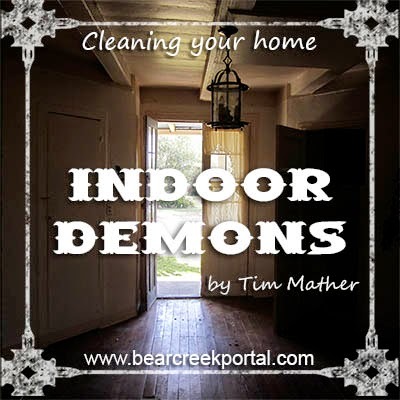 A friend had shared about how throughout his childhood, demons would taunt him. But he had no idea what they were until later in life. He explained how it made him question his sanity. He grew up alone in his torment, with no explanation. You can begin by explaining about the angels God had created. Most children have already established an understanding of the Sunday school stories about angels. Then share the story of the fall of Lucifer and one-third of the angels who were all condemned to darkness. There is a whole other realm that is very real and very active around us. As you learn about it, share it with your children. Don’t keep it hidden from them. Children crave the truth about life. They want to talk all about it, to learn and live in truth. The Bible talks so much about guarding our hearts. We should tell them who we are guarding our hearts from. Then talking about God's Omniscience, omnipotence and the fact that he knows everything is a great way to reassure children that God is more powerful than these strange beings.